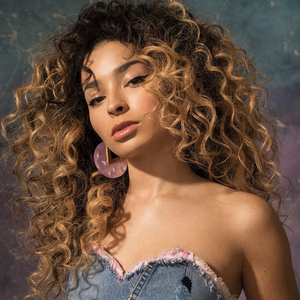 Ella Eyre (born April 1st, 1994) is a British singer/songwriter. Born Ella McMahon, she grew up in West London. Eyre trained as a competitive swimmer before singing, and was discovered while at the BRIT school studying Performing Arts & Technology. In July 2012, she published to Warner/Chappell and scored a record deal with Virgin/EMI shortly thereafter. Eyre became known for featuring on Rudimental's UK #1 single Waiting All Night (feat. Ella Eyre) and Naughty Boy's Think About It.